Blood Suckers Slots isn't for the faint of heart. 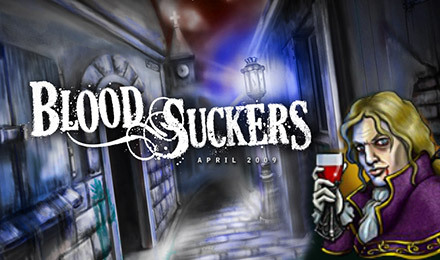 It's a fun and creepy UK slot game with generous bonuses, FREE spins and more. All you have to do is spin to win…if you dare. Good luck! This one's for all you blood sucking lovers. It's packed with FREE spins, creepy yet rewarding bonuses and more! Your FREE spins will begin when you get 3 or more Scatters. Your wins will be tripled and you can get even more free spins if this bonus is retriggered. When 3 or more bonus symbols appear, you will activate your Vampire Bonus Game. You will be redirected to a burial chamber filled with 12 coffins. You'll become a vampire slayer, and for each one you take out, you'll win coins. This bonus round will end when you open one of the 3 coffins filled with bats.